Eighteen years ago, David and I held our firstborn child in our arms for the first time. 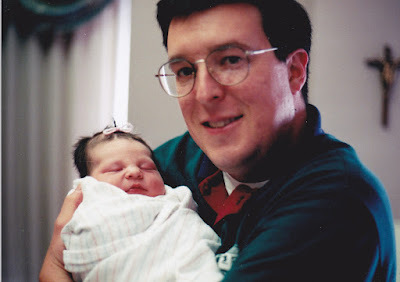 Our newborn baby required us to make a huge adjustment in our lives. 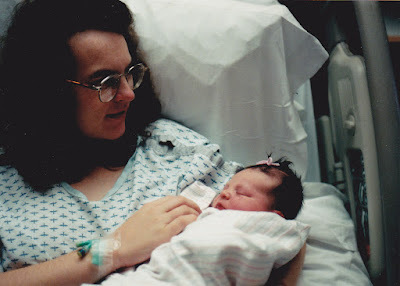 But, we adored her, and thanked God for this precious blessing. AGE 1: She’s not walking by herself yet, but she’s cruising really good on the furniture. She can say a few words now. We’ve heard her say: Mama, Daddy, Hi, and Aggie. And, she likes to play a game called "So-Big," where she raises her arms above her head when someone asks her how big she is. It’s so cute. AGE 2: Today, we saw a Lawyer about making a Will. On our way home, we stopped off at the mall and gave EL a couple of rides on the carousel. She was tired, so she was a little cranky, but I think she had fun after we got going. For supper, I made spaghetti, since that is one of EL's favorite meals. Then, we had birthday cake. She didn’t try to blow out her candle. I don’t think she was feeling very good. But, she did dip her finger into the frosting and lick it. She liked that. 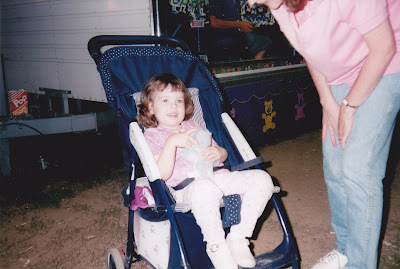 AGE 3: This year, we took our little 3-year-old to the Illinois State Fair! We had a fun day looking at all the people, sites and sounds, and especially the animals. EL got to pet some goats, a bunny rabbit, a baby duck and a baby chicken. She really liked that... 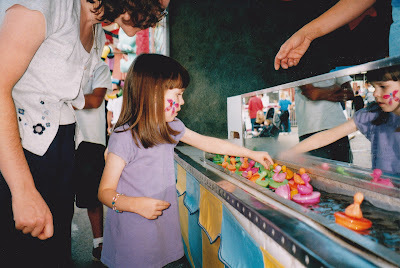 I think the best part of the fair for EL was towards the end of our visit when we let her pick a plastic duck out of the water in order to get a prize. Her prize was a little, gray stuffed bear. She immediately fell in love with it and held it all the way home. AGE 4: We didn’t have a cake for EL this year. Instead, I made gluten-free cocoa rice crispy treats in the shape of a bear. I put marshmallows on top to make a face and buttons. And, we put balloons and candles on it as well. EL seemed to like the bear and she tried hard to blow out her candles this year. Grandpa Stankus helped her. AGE 5: Our big girl is 5 years old! 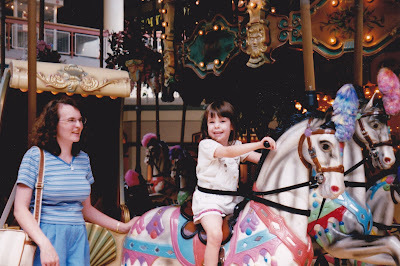 This year, on EL's birthday, we took her to Burger King, then went to the Mall and gave her a ride on the Carousel. As soon as she saw the horses, she was talking about them and about all their different colors. She was really excited about going for a ride on one. When we got up to the carousel, I asked her which one she wanted to ride and she patted the horse she wanted and said, “This one.” It had a blue and purple tassle. She had a lot of fun. 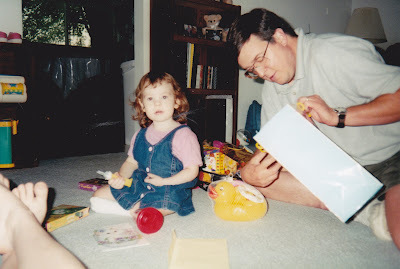 Then, after we got home, we let her open a couple of presents. 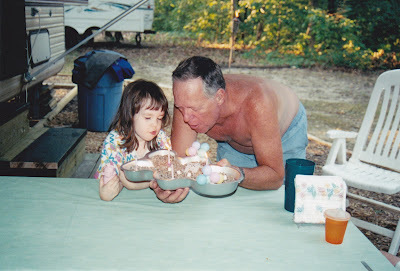 We didn’t have a cake or anything on her actual birthday because, yesterday, we went to Shelbyville and had a family party for her there. 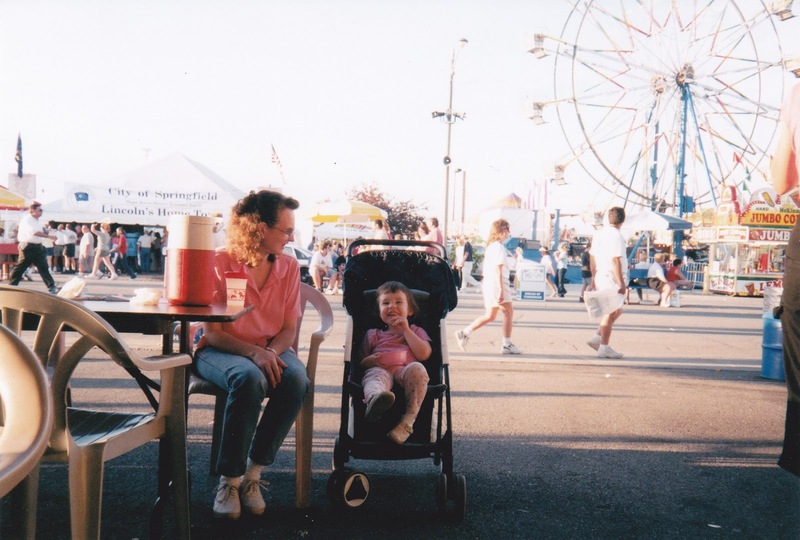 AGE 6: After lunch, we all went to the Mendota Sweet Corn Festival. EL and JJ both rode on the carousel and took a little train ride. They had fun. EL also got a butterfly painted on her cheek and played the duck game. The prize she got from the duck game was a little stuffed wolf pup. Then, Grandpa S. also bought her a nice bracelet to wear. We also watched a magic show while we were there. It was a fun day. 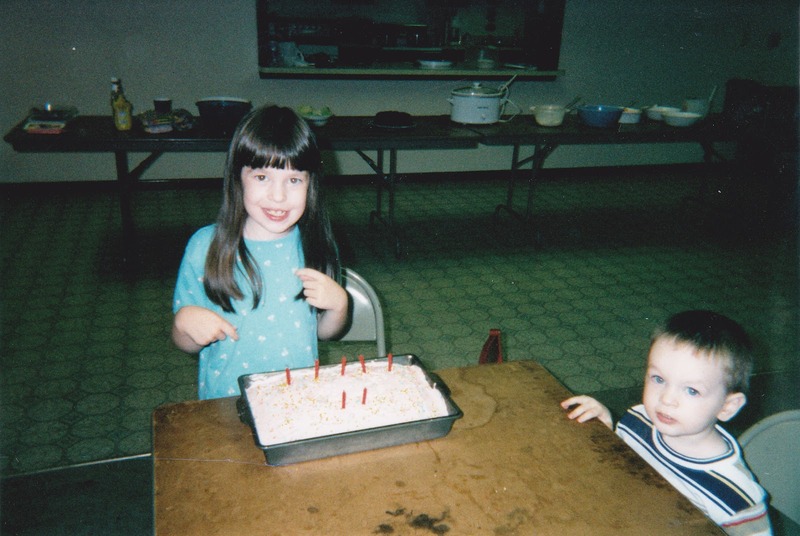 AGE 7: We celebrated EL's birthday early this year because our family was here for a family reunion. My brother and his family were here in IL for their vacation, so everyone came to our house for the weekend. We had a potluck meal, and birthday cake for dessert. AGE 8: In the afternoon, we did some shopping in Springfield, then gave the kids a ride on the carousel in the Mall. That has always been a favorite of EL's. Then, we took them to Burger King for supper. EL had a birthday coupon to get a free kids’ meal. When we got home, we ate cake and opened presents. It was a nice day. 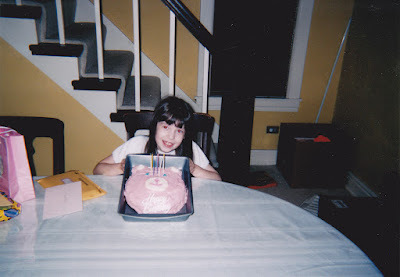 AGE 9: We went to Peotone this year and had hamburgers and french fries for EL's birthday, and I made her a strawberry cake with pink strawberry frosting. Her Aunt Jackie helped me decorate it with little purple flowers and balloons around her name.... EL showed a lot of spontaneous emotion and speech as she opened her presents this year. When she opened a present from her Aunt Jackie, it was a nice pink outfit and EL said, "Oooh, look at the beautiful new clothes." She was excited about them. And, when we held them up to her to take her picture with them, she smiled and said, "I'm a princess." It was really sweet. She was also VERY excited to get the silver i-dog she had been wanting and said, "Wow! Its beautiful! Its my favorite silver dog! Oh, I like it a lot!" This was all spontaneous speech and responses. It was incredible to hear her and I was so thrilled. She is really improving more and more with her speech and communication. AGE 10: We had hamburgers and hot dogs for supper. Then, birthday cake, of course. I made her a butterfly cake this year with strawberry cake and pink strawberry frosting. I used Oreo cookies for the body, stacked up between the wings, and I used Yogos Bits to decorate the wings. AGE 11: On her birthday this year, we were at Grandma & Grandpa Mac's. While there, we drove to Grant’s Farm in St. Louis and had a really nice day. The kids were able to feed the baby goats, take a ride on a carousel (which EL loves), and eat snow cones. We also took two tram rides, walked around and saw all the animals, and saw two animal shows: one about elephants, and one about birds. EL likes fried chicken, so we bought KFC for supper, and I made her a bundt cake and decorated it like a carousel, which she really liked. AGE 12: We were on vacation during EL's birthday this year. While we were visiting Grandma & Grandpa Stankus, we had our friends, the Lees, over for lunch to help us celebrate EL's birthday. Their daughter is close to EL's age, and also has special needs. AGE 13: This was a big year for EL, as she became a TEENAGER! We had a fun “doggie” birthday party for her this year. The girls put doggie make-up on, made dog tag necklaces, and decorated doggie cupcakes. AGE 14: This year was EL's GOLDEN birthday, and she wanted hot dogs for supper. So, we had friends over and grilled hot dogs and chicken sausages, and ate outside on our newly painted picnic tables. AGE 15: EL had some girl friends over again who did some girly types of crafts, played a fun game of Chameleon Crunch, and ate birthday cake. AGE 16: EL is unable to drive a car due to her special needs, but David did something special for her 16th birthday. He pulled out the lawn tractor and walked along side it while she drove it slowly around the yard. She had such a great time doing this. AGE 17: Friends and Grandparents came to help EL celebrate her 17th birthday. It was a “pink” party - everything was pink - tablecloth, cups, plates, balloons, a new hat, a pink toy laptop, pink lemonade, and a pink cake. 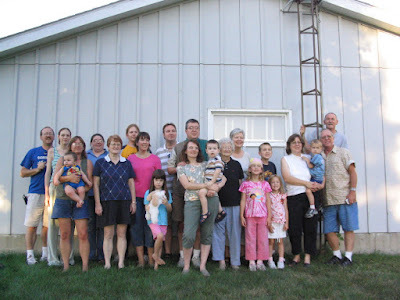 Plus, some of us were wearing pink clothes. 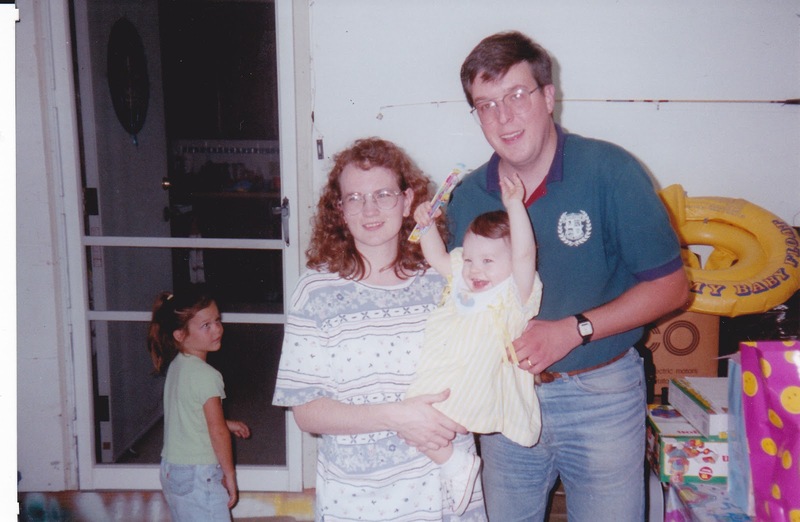 AGE 18: Our sweet girl is now a young woman at the age of 18, and we are celebrating today with a few family and friends. Happy birthday to our darling EL. Thank you for blessing our lives with your smiles and laughs. Love how we could follow along each year.